Distorted Constellations is an exhibition that uses sound, projections and holograms to immerse the audience in the imagined landscape of the artist’s brain. The work is inspired by Ebizie’s rare neurological disorder Visual Snow, which causes visual distortions such as flickering dots, auras and glowing lines. 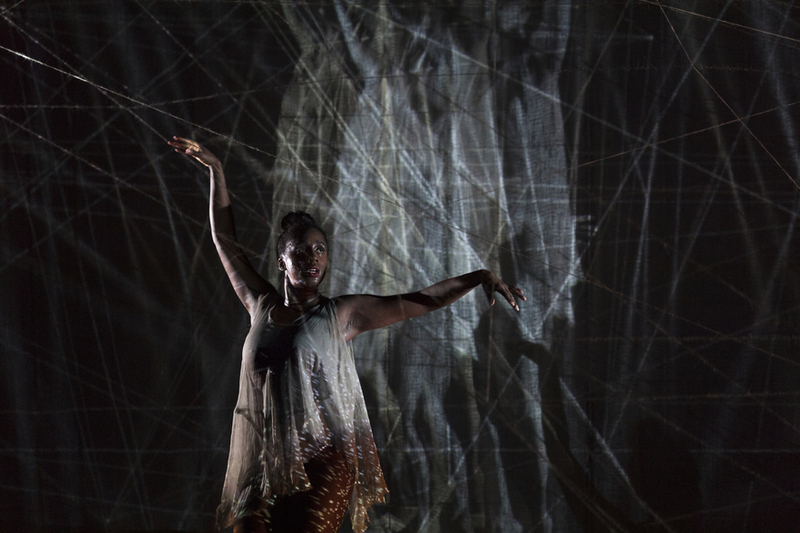 The audience will experience a mythical version of how Ebizie sees the world, entering an alternate Afrofuturist (a black perspective on the politics and culture of science fiction and technology) reality, inspired by research into the neuroscience of perception and drawing on rituals of African origin. The exhibition will be accompanied by a series of performances and public science experiments. Presented in partnership with Brighton Festival, Distorted Constellations is an exhibition that uses sound, projections and holograms to immerse the audience in the imagined landscape of the artist’s brain. Distorted Constellations​ is an interdisciplinary exhibition that combines art and science, and aims to increase our understanding of rare neurological disorders and the subjective nature of sense perception. The exhibition will be accompanied by a series of performances and public science experiment. Distorted Constellations consists of a reception area, and two rooms. The rooms are called Install and Sensory Antechamber. All spaces are wheelchair accessible but the install is accessible via a lift. The Install is a large, dark room lit by projected lights and pictures. Some of the lights flash. Music will be playing during the performance. There are no sudden loud noises. Gauze and string are hung in the space. You can carefully touch the gauze and the string. You are invited to watch the visuals and listen to the sound. You may stand up, sit down or move around. You may leave the space and return to it at any time. During Distorted Constellations one of our ground floor spaces will be transformed into a sensory antechamber, designed to complement the main installation. Feel free to spend time there before and after visiting the installation. The sensory space has been designed with the needs of neurodivergent people, including autistic people, in mind.